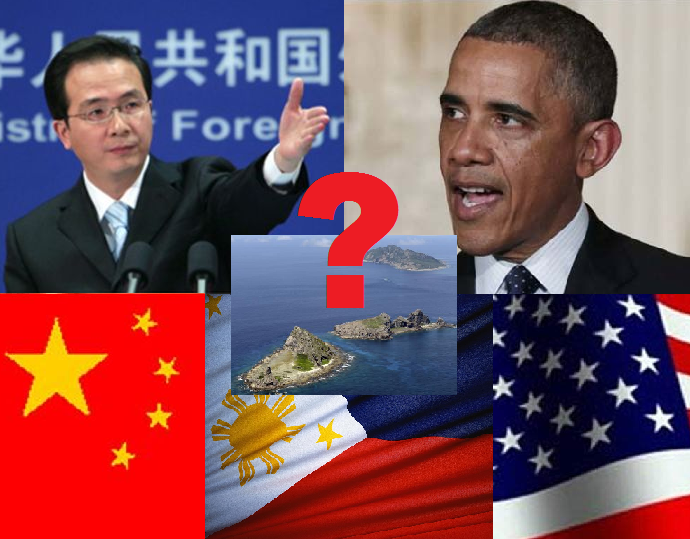 April 5, 2014; United States warns China about the possibility of using force to Philippines in pursuing their claims to Ayungin Shoal. A senior U.S. official said on Thursday, April 3, 2014, that China should not doubt their commitment to defend its Asian allies and discourage them from using force to pursue territorial claims in Asia in the way Russia has in Crimea. Previously, Philippines indeed determined to pursue case against China by filling written arguments to United Nations Convention on the Law of the Sea (UNCLOS) about justifying of indisputable sovereignty over the West Philippine Sea (South China Sea) Island. Then China responded and warns Philippines for its provocative actions about Ayungin Shoal indecent happened Saturday, March 29. President Barack Obama's diplomatic point man for East Asia named Daniel Russel said that the retaliatory sanctions imposed on Russia by the United States, the European Union and others should have a "chilling effect on anyone in China who might contemplate the Crimea annexation as a model." In response, Hong Lei, the Chinese Foreign Ministry spokesman, asked about Russel's comments on daily news briefing on Friday. Here is what Lei says, "No matter whether the Ukraine issue or the South China Sea issue, China has many times expressed its position. Why must this U.S. official mention the two issues in the same breath, and obstinately say these things about China?" As a result, Daniel Russel added that even U.S. did not take a position on rival territorial claims on Ayungin Shoal, China should be in no doubt about Washington's resolve to defend its allies if necessary. We all know, China has its competing sovereignty even with Brunei, Malaysia, Japan, South Korea, Vietnam, and Taiwan in potentially energy-rich waters. Speak up you minds by posting comment below, thanks.